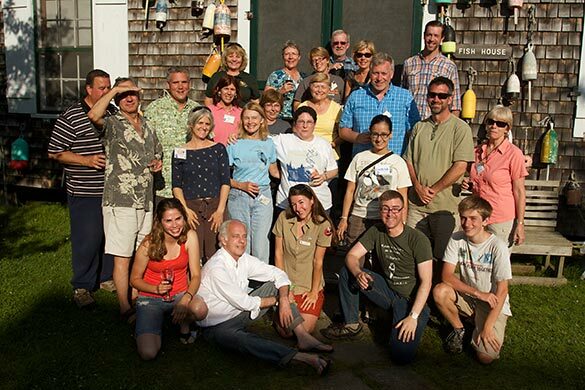 This past July, Chris Fischer, who just completed a two-year term as our president, joined fellow Audubon chapter leaders from the Atlantic Flyway at Audubon’s Hog Island Camp in Maine for the annual Audubon Chapter Leadership Program. The week-long program was filled with presentations, workshops and plenty of opportunities for chapter leaders to engage with each other. Participants shared their experiences and ideas about challenges common to their respective chapters such as attracting new members, recruiting volunteers, fundraising, and more. Leaders from National Audubon shared their priorities for chapters, including creating bird-friendly communities, growing international connections, and the forthcoming Climate Change initiative (stay tuned!). “Continuing its recognition that the power of Audubon is in our grassroots network — our chapters — it is clear that National Audubon is committed to growing the vision of ‘one Audubon,’ providing chapters with the guidance and support needed to establish these initiatives across the Audubon network,” said Chris. While it was a full week, participants did get out of the classroom a few times. Atlantic Puffins, Black Guillemots, Arctic Terns, and Roseate Terns are just a few of the seabirds seen on an early morning excursion to Eastern Egg Rock island. Participants also spent a morning in the rain exploring the many varieties of life that can be found in the intertidal zone, topped with a late-morning snack, a Hog Island specialty — freshly-boiled periwinkle snails, picked from their spiral shells and dipped in melted butter. 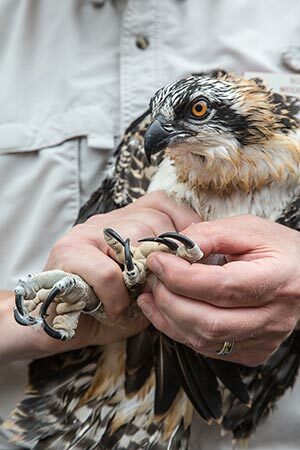 Osprey being banded by Scott Weidensaul. This year, the chapter leadership group was fortunate to share the island with the “Raptor Rapture” program for the week, thereby having the privilege of being able to sit in on fascinating evening presentations by Scott Weidensaul (PA ornithologist and best-selling author), Rob Bierregaard (raptor expert), Yossi Leshem (Israel’s best known ornithologist), and Steve Kress (founder of Project Puffin). One of the week’s highlights was when Scott and Rob decided to band the osprey chicks, known to thousands through the Osprey Cam. 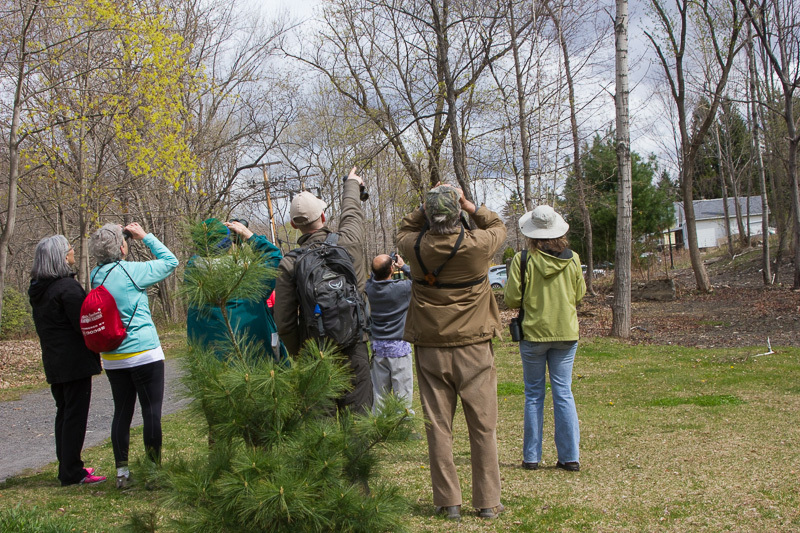 In cooperation with the Lackawanna Heritage Valley Authority (LHVA), the Northeast Pennsylvania Audubon Society (NEPAS) will host a bird walk along the Lackawanna River Heritage Trail in Archbald on Saturday, Sept. 13, 2014 starting at 9am. 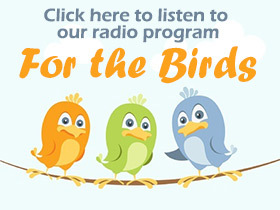 Fall migration will be well underway, so we have a good chance of finding some birds not commonly seen in our area. Possibilities include Cape May Warbler, Wilson’s Warbler, Bay-breasted Warbler, and more! 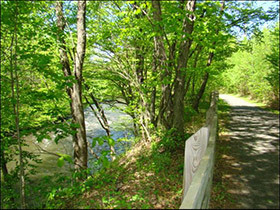 Local birders Chris Fischer (NEPAS) and Owen Worozbyt (LHVA) will lead the walk along a recently completed section of the LRH trail in the Mid Valley. The walk is open to all – young and old, regardless of birdwatching experience – and will be easy and relaxed, covering no more than a mile along the flat (and mostly paved) trail. Participants should meet at 9:00 a.m. at the Laurel Street Trailhead, located at the southern terminus of Laurel Street in Archbald (#19 on this map). Parking is available. Binoculars and a field guide are recommended. 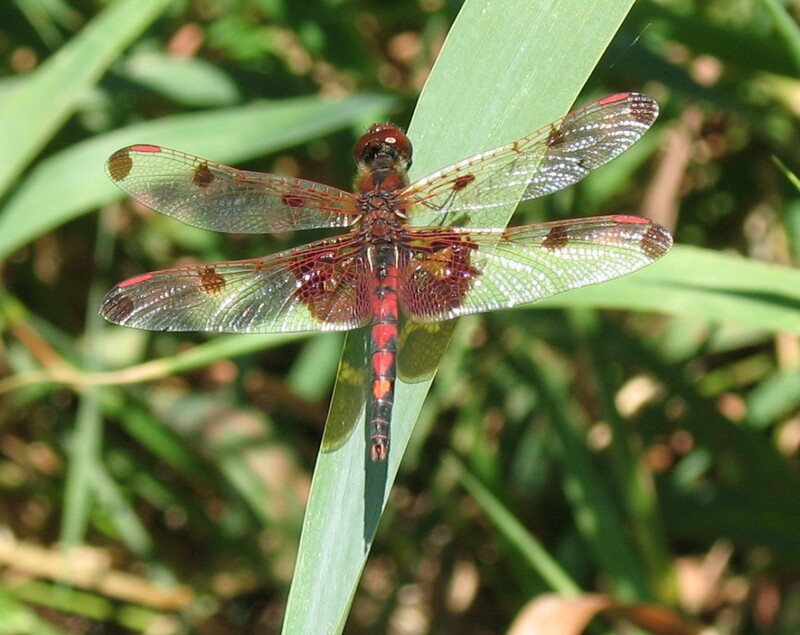 Calico Pennant, male – Monroe County. Photo by David Trently. Azure Bluet, Lackawanna County. Photo by David Trently. 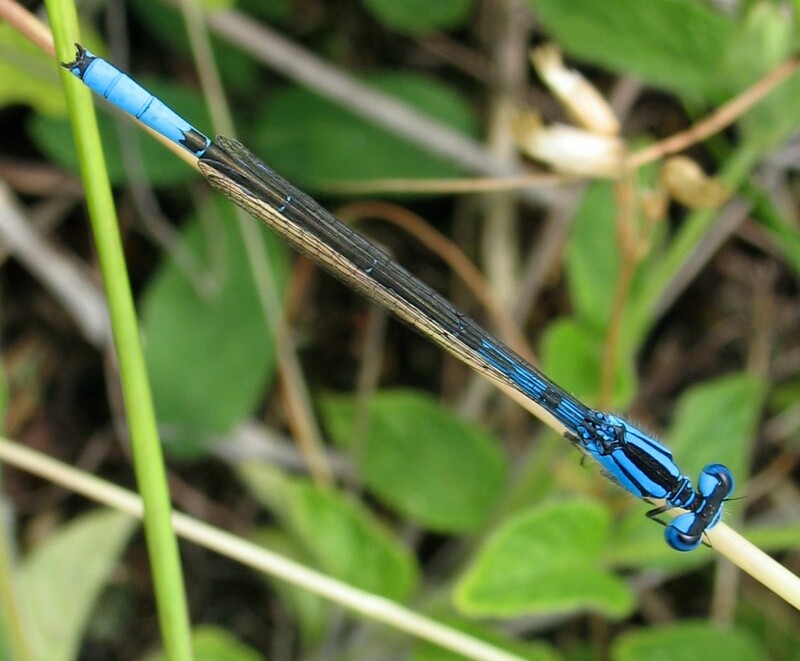 Join David Trently at our Browning Beaver Meadow Sanctuary on a search through the fields and around the pond for dragonflies and damselflies. David will point out the differences between these types of insects. You’ll learn how to identify many of them – and maybe even have the opportunity to hold one in your hand! Learn how you can help scientists by photographing individuals as you travel around your favorite places. During the walk, David will also point out other interesting wildlife, like birds, butterflies and wildflowers. Meet at 10:00am at the Observation Deck parking area at Browning Beaver Meadow Sanctuary, twenty-five minutes north of Honesdale. See our Sanctuaries page for directions. The walk is open to all – young and old, regardless of wildlife viewing experience – and will be easy and relaxed, covering no more than a mile along the flat trail. Binoculars and cameras are recommended. If you have a field guide to dragonflies, you should bring that as well.